Jalpaiguri is situated in the northern part of West Bengal at the foothills of the Himalayas, spanned by a belt of marshy grasslands, savannas and forests comprising the Terai and Duar (Dooar) eco-regions. The district is the gateway to the entire North-Eastern states of India and Bhutan and has international borders with Bhutan and Bangladesh in the north and south respectively and borders with the states of Assam and Sikkim and the districts of Darjeeling, Uttar (North) Dinajpur and Cooch Behar. The name Jalpaiguri probably came from the Bhutanese term je-le-pe-go-ri which means ‘a place where warm clothes are bought and sold’. Up to the 13th century CE, the area that is now Jalpaiguri district was part of the huge Kamrup kingdom which spanned the entire Brahmaputra valley, all of North Bengal and parts of present day Bangladesh. The district then became a part of the Kamatapur kingdom, hewn out of the western part of the earlier Kamrup and principally ruled by the Koch dynasty of Tibeto-Burman descent. The floodplains and foothills of the Eastern Himalayas known as the Duars (passages or doors) stretched across most of the Kamatapur kingdom. Taking advantage of the weakness of the Koch dynasty in subsequent times, Bhutan took possession of the Duars. In 1865 however, the land was annexed by the British and separated, by the river Sankosh , into the Western and Eastern Duars (which lies in Assam). 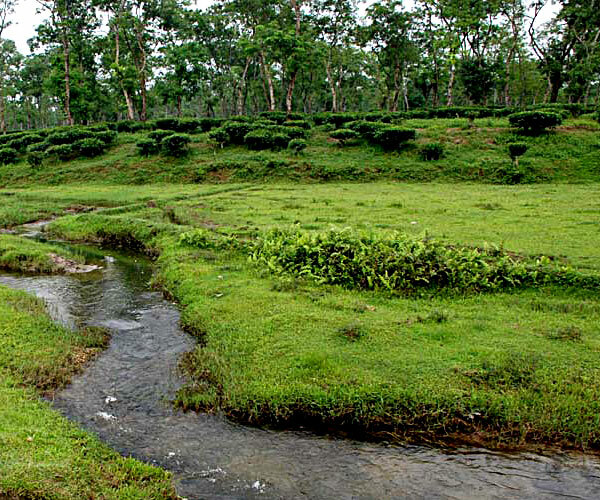 In 1869 through some constitutional changes the Jalpaiguri District was carved out mainly from the Western Duars. 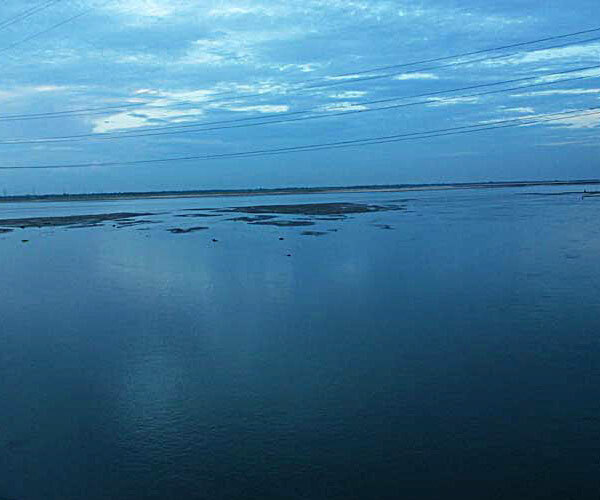 The entire topography of Jalpaiguri is veined with rivulets, rivers and hills, and comprises two distinct tracts separated by the Tista (Teesta) River. To the east of the river, are the Western Duars with several passes through the Sinchula Hills into Bhutan. To the west of the river lies the Terai region which extends up to Darjeeling and Nepal. The Terai region is a level, densely populated expanse, growing rice, jute, and sugarcane while dense forests and tea gardens are spread across in abundance the Western Duars. 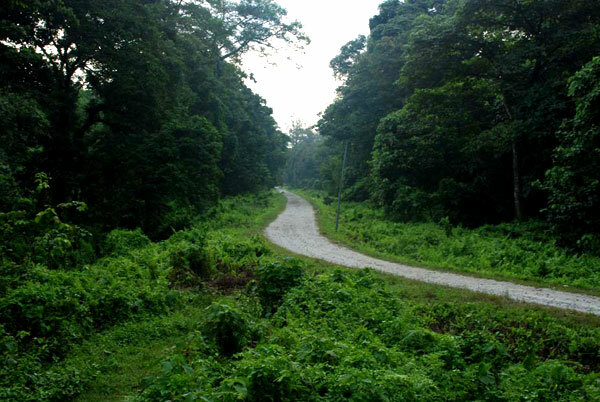 Jalpaiguri remains one of the most prominent wildlife areas in the sub-continent and boasts the best Sal forests in India. Apart from the high rise forests there are floodplains of rivers like the Murti, Jaldhaka and Torsa covered with grasslands which nourish a wide spectrum of wildlife. The forests of Jalpaiguri are home to many endangered (Indian one-horned rhinoceros) and near-extinct species that are found in both the Gorumara National Park and the Jaldapara Wild Life Sanctuary. The Buxa Tiger Reserve is just a short distance from Alipurduar; the Buxa Fort within is believed to have been built by the kings of Bhutan to protect the ancient Silk Route which connected Alipurduar to China through Bhutan and Tibet. Down the ages, this fertile land has seen the arrival and settlement of various Indo-Mongoloid tribes, whose descendants make up the bulk of the population today. The majority of the Indo-Mongoloid class are the Rajbonshis who first appeared in Bengal when the Koch kingdom was founded. Apart from them there are the Bhutias, Mech, the Rabhas, the Totos, and the Limbus and Lepchas who had originally also crossed over the Mechi River. Then came the British, who started cultivating tea here in 1874. With the rapid increase of plantations many forest areas made way for tea plantations and farmlands. Given the reluctance of local population to work as wage labour, these initial planters imported tribals in enormous numbers from the Chhotonagpur Plateau and Santal Parganas (of present day Jharkhand) and the contiguous tribal belts of Odisha and Madhya Pradesh, to work their gardens. These tribals were mainly the Oraons, Mundas and Santals. These hard working tribals were ideal for plantation work were able to withstand the hardships and rigor of plantation work. Future generations of these original migrants remain tied to the gardens to date. 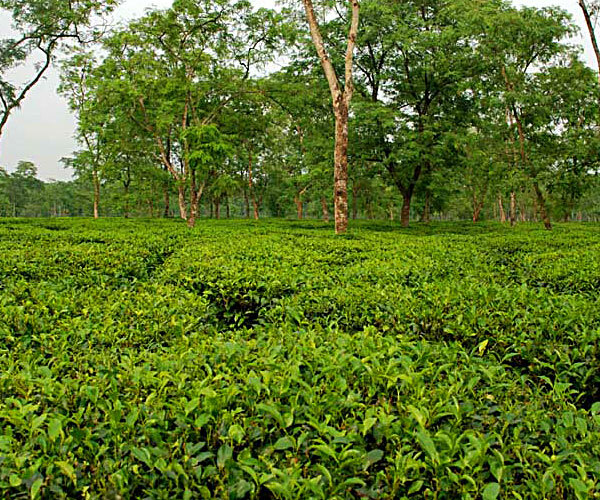 Alipurduar has a large concentration of tribals and around 70 tea gardens (2014). Apart from the tribal population, a large Bengali population (mostly displaced from the then East Pakistan, now Bangladesh, by the Partition of Bengal) also populate the Duars and their culture emerged with local people. With this multitude of ethnicities came a variety of new cultures and beliefs, each of which has maintained their integrity and not lost themselves in other cultures and traditions. According to the 2011 Census the total population of the district is 38, 69,675 of which the urban population comprises only 603,847 (17.74%). The district, therefore, is primarily rural with more than 80% of the population living in villages. It also has the highest representation of Scheduled Tribes in West Bengal, with the Rajbonshis constituting the backbone of the agrarian social structure of the North Bengal plains. A relatively sizeable population resides in tea gardens and in remote forest villages which are isolated and not easily accessible. The languages spoken include Bengali, Hindi, Nepali, Sadri, Oraon, Munda Kharia, and Boro Santhal . The rich cultural diversity of Jalpaiguri is reflected in its folk dance, drama and songs, with Rajbonshi culture being the most prominent. Aspects of animistic, Vedic, Buddhist, Tantric and Vaishnav influence are evident in this latter culture. The Teesta Burir puja celebrates the lifeline of Jalpaiguri, the Teesta river. 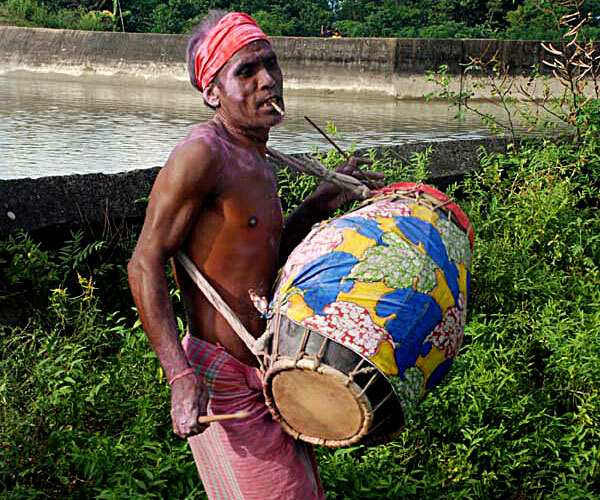 The most well known folk song of this region today is Bhawaiya, a Rajbonshi folk form, while Dham Gaan and Tukkha are other popular types of folk songs of the district. Ritual based songs include Kati Pujar gaan held in the month of Kartik (November) and Hudumer Gaan, to propitiate the rain god Hudum Deo. Popular folk theatre forms include Chor Churni is the oldest folk musical form in this region and Bishahara folk dramas, staged annually during the occasion of Manasha (the folk serpent goddess) puja. Songs and dances of the Rabha tribe are gaining popularity these days. Among folk crafts prevalent in the district are utilitarian, decorative and votive objects made from bamboo, wood and shola pith. 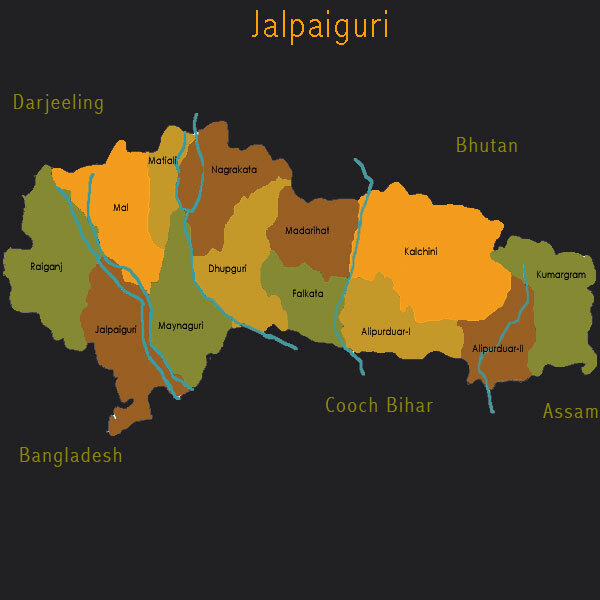 As of July 25, 2014, Jalpaiguri district has been officially bifurcated, for administrative purposes, into Jalpaiguri and Alipurduar districts.